Welcome to ThurstonOlsen.com. We are a team of professional realtors, dedicated to providing you with the absolute best service and results in the industry! Whether buying or selling, we are here to help you with all of your real estate needs! Thurston Olsen Real Estate Team. Two amazing guys – one great result! The guys: Ford and Chris. The result: we sold our home for over asking in 6 days! We met Ford and Chris at an open house six years ago. From the outset we thought “here are two real estate professionals we can work with” and most importantly trust. Over the intervening years we’re pretty sure we must have tested their patience as we waited for the right time to put our home on the market. That time finally came this year. The process started with a meeting in early January with Ford, Chris and their outstanding designer Alicia. They took us through their marketing plan and Alicia scoped out how to best stage and prepare the house for sale. From that initial meeting until the house was listed on MLS, Ford and Chris constantly worked to ensure that everything was the best it could be. The quality of the marketing materials (brochure, website, online/offline ads) really show-cased the features of our home. These efforts resulted in a high visitor turnout on both open house days. On offer night Ford and Chris again showed their skills in the negotiations with the buyer’s agent, which resulted in us getting a price that we were looking for. In addition to Ford, Chris and Alicia, we also want to give a shout-out to Andrea, who is the Executive Administrator and did a wonderful job of coordinating many details throughout the sale process. Ford and Chris are a fantastic combo, and very professional real estate agents. When Joyce and I reflect on the process we’ve both concluded that they executed flawlessly and delivered the right amount of reassurance and guidance in what can be a lengthy process. We were in a situation where we wanted to upgrade our space, which meant buying a new condo, and then quickly selling the old one. As luck would have it we found our new spot first, while negotiating the price down. This meant we now had to sell our old place. The Thurston Olsen Team and their designers stepped up to the challenge. They helped us sell our condo in a challenging situation, under time constraints, and when there happened to be construction starting directly across from our unit. Despite this, the team facilitated consistent showings and amazing staging and we ended up selling at a great price. During the closing process Ford and Chris were extremely supportive in tying up any minor details, helping to ensure that everything went smoothly for all parties in involved. 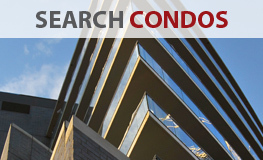 Through Ford and Chris we were able to find the perfect condo in the best neighbourhood. We still wake up everyday feeling so happy and thankful that we found our new home. My husband and I used the services of Chris and Ford when we bought our current house and more recently this summer when we sold our rental property. I was pregnant when we were looking for our house and was very particular about what I wanted, at the same time not very decisive and had a lot of emotions. Chris and Ford were so patient with us (me) and accommodated every request we had, no matter how last minute, never making us feel that we were asking too much. Which I’m sure we were?. Their energy is always positive and helpful. We found a home that we will be in for many, many years to come. When we sold our rental property, they were very honest and realistic about when to and how to sell and despite the timeline not being what I had hoped it to be, I trusted their judgement and it paid off. We ended up getting a fantastic offer that were extremely happy with. We would highly recommend “the guys” as we refer to them and have nothing but good things to say. Ford & Chris came highly recommended to me from a close friend – and boy, they didn’t disappoint. I had a discouraging experience with another real estate agent who really didn’t seem like they wanted to sell my house. These guys were the exact opposite. They put together a great listing with professional photography and detailed lists of improvements. Juggled our tenants schedules and requests and were able to show the property to many prospective buyers. Their communication with me, my tenants and the buyers was top notch. Daily updates, complicated negotiation of multiple peoples’ schedules – they handled it all with ease! Ultimately, our primary goal was achieved which was to sell the house for a good price. They did this brilliantly, and then even got us a little bit more! When it comes to buying or selling real estate, Ford and Chris make it happen, they excel at their profession. The pride they take in what they do shows through in every aspect of the transaction. 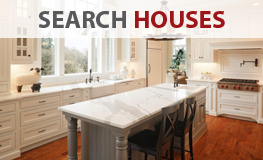 In can be a difficult decision to make, whether buying a new home or selling an existing. Having Chris and Ford working with you will go a long way to alleviating that pressure. A huge plus is the incredible attention they have for every detail and keeping you updated daily. 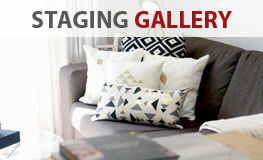 Also, returning calls and emails promptly, staging and fine tuning your home. We once again sold and of course prior to deciding consulted with them. Our home sold quickly and over what we were expecting. Ford and Chris are the most thoughtful and kind real estate agents I have ever known. They are there to answer any question (no matter how ridiculous) and take the time to perfect every single detail. Walked me through, as well as, supported me through the process of deciding to sell my home and made it both seamless and painless. They worked their magic and my front lawn went from no sign to sold sign. The house sold over asking before it even went to market. I am so thankful for Ford, Chris and their entire team. I look forward to working with them again in the future. Both Chris and Ford are friends of ours, so it was a no-brainer who we wanted to work with when my husband and I started looking for our first home. We knew that they would be a blast to work with, but we were blown away by their professionalism, expertise and skill. As first time buyers, with a modest down payment, who were hoping to skip the condo real estate ‘step’ and jump right into a house in Toronto. Chris and Ford had their work cut out for them! They must have known that our request was not going to be easy to satisfy, but if they did, they never let on. They were professional, supportive, patient, and a pleasure to work with from beginning to end. Making us feel at ease with what otherwise, can be a challenging and disheartening process. My husband and I are thrilled to be moving into our first house at the end of the month, thanks to the Thurston Olsen Team. We highly recommend Chris and Ford and can’t thank them enough! I first got in touch with Ford and Chris when selling my home was a vague idea that I was only 50% committed to. When they came for the valuation meeting, I casually mentioned that I would make my decision in the new year (a few months down the road). As soon as January rolled around, they checked in to see how my decision was coming along and if there was anything further they could do to help. This perfectly-timed and non-pushy follow up set the tone for our entire business relationship, as they were flawless from start to finish. Their communication is consistent and direct, their opinions are well-informed and thoughtfully delivered and their attention to detail is second to none. Even more, adding in their killer design team and the support of Andrea in the office. I couldn’t have asked for a better experience. It also didn’t hurt that we managed to sell my condo well over asking! As a result, I’ve already sung their praises to anyone who will listen and will happily continue to do so. I have known Chris for a few years as a friend and a former colleague, so I was comfortable in engaging him and Ford in purchasing my new Condo. I knew I was going to be in good hands, but the guys exceeded my every expectation. As a new home buyer, it can be a daunting experience and sometimes frustrating. However, the team made me feel at ease from the beginning. 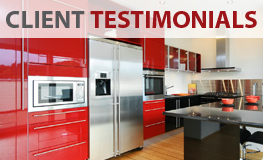 They were patient, professional & very pleasant to deal with and accessible at all times for any questions. I’m happy to say that I will be moving into my first Condo this Spring, thanks to the Thurston Olsen Team. I recommend them for anyone who is looking to buy or sell homes/condos. 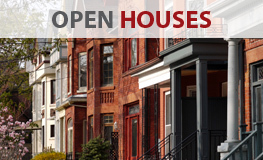 Purchasing your first home in the Toronto Market is not an simple task. Therefore, one we would not have ever accomplished without the expert help and Chris and Ford. They are exceedingly knowledgeable, hard-working, friendly, and most of all trustworthy. A trait we found to be lacking in most of their peers. Working with Chris and Ford has been an amazing experience! As first time home buyers, it was so stressful and nerve-racking to enter into the realm of home ownership. But having these guys by our side made it all worthwhile. Since day one, they have been nothing but patient, instructive, well-informed and professional. These guys worked day and night to find us our perfect home and we can’t thank them enough! We will miss the emails, calls, property visits, but most of all the laughs. Finally, we say with great confidence that the Thurston Olsen Team are wonderful. We can’t wait to refer them to family and friends! We engaged with Chris and Ford to sell our parent’s home in Don Mills. They helped us with what to do to get the home ready to sell and patiently answered all of our family questions. Ford and Chris were very professional and really understood what we wanted and provided the service we needed. Similarly, they worked hard to sell the home and balanced getting the best price with an expeditious sale. Above all, Ford and Chris did a great job and we would recommend them to anyone considering their services. lofts currently listed for sale. 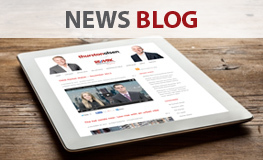 updates on the real estate market. Here’s what people are saying about us! Read our testimonials. We proudly offer complimentary staging. Check out our before and after gallery here.